Internationally renowned photographer Michael Crouser captures the thrilling intensity of dogs at play in his collection of photographs called Dog Run. Crouser catches both rare and provocative moments—split seconds of intense play that give an intimate glimpse into the expressive personalities of his dynamic subjects. The photos were shot in neighborhood dog runs, where the dramatic action is all about dogs being dogs away from the influence of their masters. The stunning photos spotlight the candid interactions of the dogs—chasing, taunting, wrestling, flirting— displaying the energetic craziness that only emerges when dogs engage with other dogs. The result is a collection of unique images that are raucous, vaguely ferocious, hilarious, and even poignant—much like the dogs themselves. The book is composed of ninety black-and-white photographs and features an insightful foreword by poet Mark Doty. 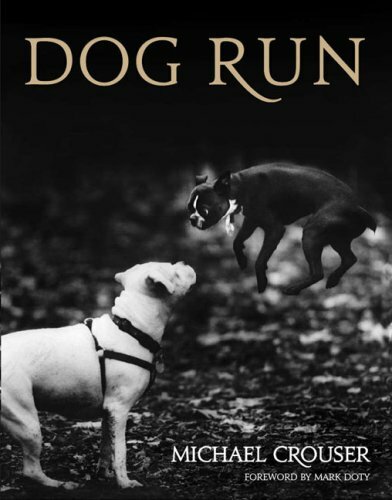 Michael Crouser's Dog Run offers a surprising and revealing look at the very essence of dogs.